I have done 4 Travel Talks so far (Croatia, Egypt, India and Balkans), and I really enjoyed all of them. My last tour was the Best of Balkans tour and I must say I had a great experience. Our tour guide Bojan was simply fantastic. He is very knowledgeable and made sure everyone had a great experience. The quality of the hotels was great, except for one of the hotels, where the smell of smoke in the room was too strong. 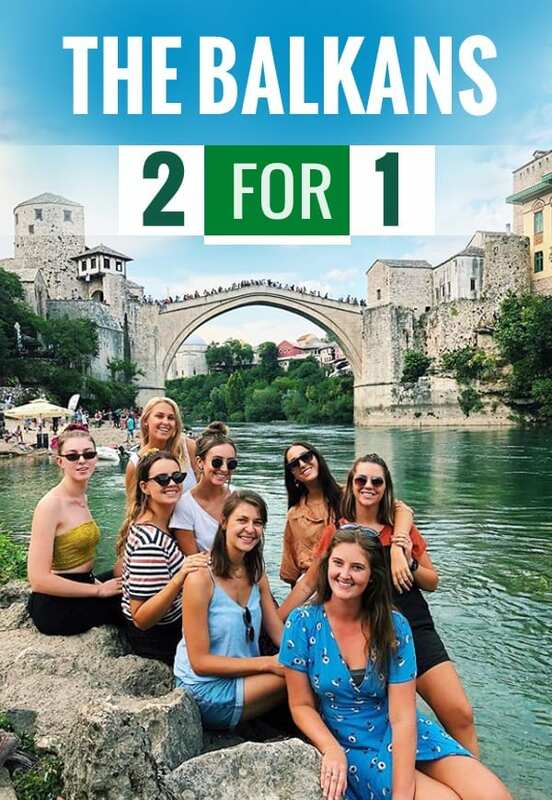 Other than that, you get to visit 7 countries in 9 days, learn a lot of recent and past history and discover hidden places like Ohrid in Macedonia. On the other hand, things to improve for the tour, I would change the local tour guide in Dubrovnik and would add somehow some time to visit Trebinje, as we stayed 2 nights there but we didn't have time to explore it. I highly recommend this tour, it's good value for money! I did the Best of Balkans tour. The tour is a great combination of culture, exploration, food and plenty of drink. Accommodation exceeded expectations (especially considering how cheap the tour it) but most of all the tour guides and drivers were fantastic! Just finished up the Exotic Morocco tour and it exceeded every expectation I had. Our guide Youssef was outstanding, his passion and enthusiasm for his country was inspiring and he made us feel at home. The tour itself was amazing, accommodation was really nice and the ‘glamping’ in the Sahara was unbelievable. Overall an amazing tour and I would do it over and over again especially if I had Youssef every time! 10/10 would recommend, truly an amazing experience! We recently did our first travel talk tour -Ultimate Egypt- After getting it on sale. We appreciated things like always being told where ATMs or supermarket type shops were when arriving at each hotel, and also having the early starts at some sites in order to beat the crowds. (Maybe also getting to Cairo Museum earlier would have been better than a sleep in to try beat the crowds and long line with so much to see inside). Different company, style and country to what we've done before, but a few improvements could be stuff like everyone introducing themselves, perhaps at the welcome meeting. It would have been nice to know perhaps before the trip (on at least before arriving at the first site), That eg; the ticket to see the pyramids is only to get onto site, and Doesnt include going inside the pyramids, or in the solar boat museum, which require extra tickets that cost more. And that to take photos in a lot of sites, you also have to pay an extra fee for a photo pass. At the first site we saw, which was the main pyramids, we didn't have quite enough time there, and then ended up spending a longer amount of time at the perfume essence shop after, which a lot of people weren't that happy with. But the tour guide picking up on that was good and thereafter started asking at each sight if 'x' amount of time was longer enough or we needed more time. We were highly recommended by our tour guide to swap to doing the two days on the felucca sail boats which we did, and regretted doing. Its perfect if you enjoy having time out to relaxing doing nothing, but we were bored and wished we had spent that time exploring more of Aswan instead. But others loved it having the break. Over all we had a great time with the trip being awesome and above our expectations of Egypt. We've booked with you again to come back later in the year to do Turkey and Jordan. Look forward to it. 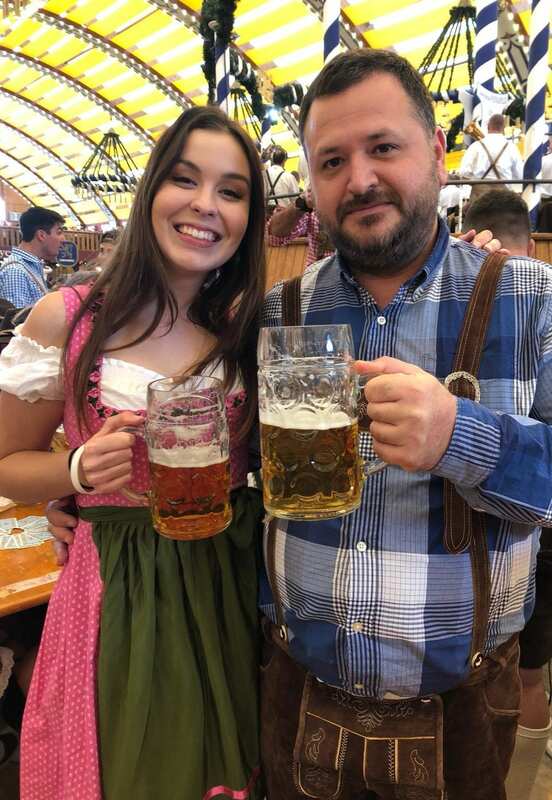 After having just finished the Best of Balkans tour with Bojan, I can honestly say it was one interesting, cheap and fun holiday. Our guide was informative and friendly, and our bus driver was took all precautions driving through the crazy windy roads of the Balkans. Each place was very different, my favourites being Bosnia, Montenegro and Macedonia. 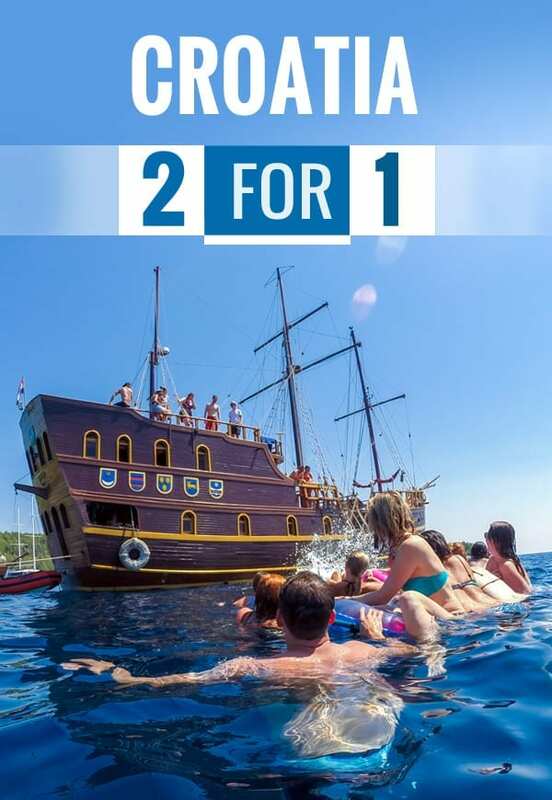 I wouldn’t recommend doing the optionals besides for the Dubrovnik boat cruise. I’d also recommend not attending all the group dinners as the food was average and it was difficult to pay (no where does split billing and they’re reluctant to pay by card); do some research and find your own restaurants! Do note that all taxis only accept cash so only withdraw the minimal about as you’ll end up with so many different currencies like we did. All of the hotels were really nice as was our local tour guides! I did the exotic Morocco tour and it exceeded my expectations! Our guide Abdul was incredible - informative and funny. Accomodation was perfect. The Sahara experience was incredible. Would 10/10 recommend this tour. I just finished my first tour with this company and thoroughly enjoyed the experience! Travel Talk was easy to communicate with and always quick to respond. Someone was at the airport when I arrived, which has never been a service offered by other tour companies I have used. I have nothing but good things to say about this company and I highly recommend using them for your next trip! We have had such a great time on the Balkans tour. we will do another one! The tour was SPECTACULAR... If you have any inconvenience just tell the guide and email travel talk, they will give you reassurance, great response. The guide is Mustafa and he is capable to become a guide, the food and accommodation was ok. We did Turkey 9 day's tour and we will come back for Morroco tour. Thank you Travel Talk. I have done two Travel Talk tours and both have been so much fun. Everything is organized so well so you can kick back and take in all the great experiences with like minded people. Such an awesome way to make heaps of new friends and see different parts of the world. The guides on both trips have been awesome, super friendly and make the trip so much more fun. I did Treasures of the Nile with travel talk it was my second visit to Egypt but the travel talk crew managed to make it more spectacular more diverse and more beautiful than my previous vacation in Egypt. Everything was well organized and the guides were patient with our questions and diverse requests. Thank you Sameh Makram Makram, Mahmoud Abdel Kader thank you Bishoy Sabit. I will book my next vacation definitely with Travel Talk cause they know their business, Many thanks to everyone in the team Travel Talk. 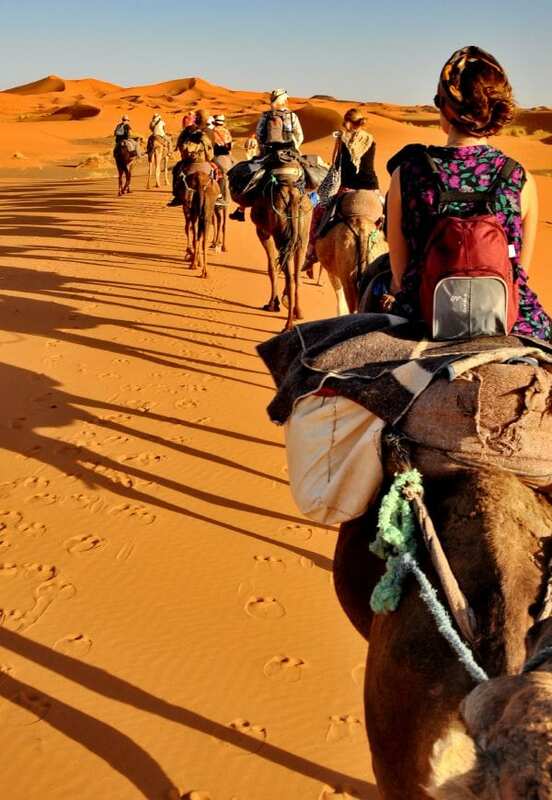 Recently i did the Exotic Morocco tour with Travel Talk. It was a fantastic tour and a great experience. 10 days tour with the best guide Abdul.He is funny, experienced and replied to each question and gave us details and information about History of Morocco and the culture and the local life. I strongly recommend this tour to everyone who wants to visit Morocco! Just got back from my "Exotic Morocco" trip. It was amazing especially the Sahara Desert. First time I've booked with Travel Talk and will definitely recommend and book my next trip with them. There is not a single thing that i can complain about from the itinerary, the guide Abdul (very knowledgeable and funny) and the bus driver Sa-eed, (drives within his speed limit). Good value for money. My partner and I finished the Egypt / Jordan 15 day tour on 23 March. We had a fantastic time! The trip was well organised and a good mix of sightseeing, relaxing and physical activities (such as scuba diving, quad biking etc). I will be recommending this trip to all under 30’s wanting to explore this part of the world. Shout out to Egypt tour guides Sam and Bishoo for making the trip all the more enjoyable. I just got back from the 10 day Exotic Morocco tour and am still floating on cloud nine after such an amazing holiday. Our tour guide Abdul was an absolute legend - funny, knowledgable, and just all round 11/10 guy, it would be literally impossible to have a bad time with him as your guide. Overall, a fantastic tour and one you should DEFINITELY do - you won't regret it! Turkey essentials exceeded my expectations. Opened my eyes to what turkey has to offer and couldn’t have asked for a better guide & bus crew to show us their country, cheers ‭‭Mustafa! I recently did a 14 day tour of Egypt and Jordan with Travel Talk. it was a fantastic experience, and something I am very glad I did. Our Egyptian tour guide Sam was amazing: experienced, assured, knowledgeable, and very funny. Travel Talk manages to pack so much stuff into this tour which makes it a little hectic, but it is totally worth it. Would recommend! I did the Egypt & Turkey tours with Travel Talk. The Egypt part was good but the real highlight was the Turkey part. The Turkey tour was beyond all my expectations. Amazing people and excellent tour guide, Mustafa. He is funny, knowledgeable and cheeky. He made effort to remember all of our names (32 people). He always looked after us, protected our interest and did everything he could to enhance our tour experience. For example, he requested our favorite song to end the Turkish night, helped us to find supermarket or bottle shop. When some of us got ripped off for the camel ride during our free time (they paid 30 Euro instead of 30 lira / 5 Euro), Mustafa was angry and managed to get back the money for us. When we did the Jeep ride, he ran all the way to the other side of the hills to take a video of us in the Jeep. He didn't have to do it and no one asked him either. Mustafa took initiative to make sure we all had the best time. We saw some good snow next to the highway on the way back to Istanbul. He even made a short break for us to play snow ball when we requested it. Best surprise of the trip. I just did my 2nd tour "Jewels of the Nile" with Travel Talk tours and it was just as amazing as the first. Great tour guide, action packed itinerary and amazing hotels. The only thing I had a slight issue with on my Egypt tour was the "pet crocodile", that the donkey rides were an "included" activity so my money was used for that even though I didn't want to take part and the lack of recycling options for our water bottles. Not very in standing with responsible travel. But again, that was it. I felt like I had a great time and will always recommend anyone who wants to go to Egypt or Morocco to go with Travel Talk Tours. Highly recommended Traveltalk’s “Essential Turkey”. It was an amazing experience. Affordable and a great way to see many historical sites in a single tour. Mustafa our local guide was enthusiastic and honest guide I’ve had. He make sure everybody is happy and safe and if possible all request were met. Keep up the good work😊well done! Was not expecting the Essential Turkey tour to be this amazing, it exceeded all my expectations!! Everything from our guide Mustafa to the accommodation, to the activities and our transportation between cities was great. Would recommend especially for the price and value for money. I recommend traveltalk's essential Turkey for their experienced, accommodating and all round great guide Mustafa. The itinerary is also comprehensive. A good time was had by all. Recently went on the 10 day Exotic Morocco tour and had an amazing time. The tour guide Abdelhadi and bus driver Mohammed made the trip. Both would go the extra mile for anyone! Abdel is extremely proud of his country and full of so much knowledge answering any Questions! Highlight would be the Sahara for sure along with Fes. If you're on the fence just book it you won't regret! I did the Felucca Odyssey trip and had an amazing time. It's a fast pace trip that allows you to see a lot in a short period of time. I came with no expectations and was pleasantly surprised by how well organised the trip was. We had an amazing tour guide Sam who taught us a lot about the egyptian's history.